These cute Christmas outfits for kids are casual but adorable! Kids will NOT complain about dressing up in these outfits and they look so adorable! Check out the coordinating sibling outfit ideas that are comfy while being holiday-party ready! It can be SO hard to dress kids for the holidays! My kids will always start whining and complaining that they hate dressing up because it is NOT comfortable and they have to spend the whole day in uncomfortable outfits that are not conducive to play. This year we decided to turn tradition on its head and deliver cute coordinating outfits that were comfortable AND holiday-worthy. I think we succeeded and there were NO complaints from the kids either! How cute are these coordinating sibling outfits from Crazy 8?! I’m in love and as an added bonus these are looks that can be mixed and matched for any holiday event. I hate buying dressy clothes that get worn once and never again. These are clothes we will USE frequently! My daughter has gotten to an age where she no longer will wear tulle and frills so I had to tearfully say goodbye to all those poofy holiday dresses. We found this amazing holiday dress at Crazy 8 and I have to admit that I’m a little jealous. I would totally wear this quilted red dress with gold-zippered pockets! It’s on trend and still comfortable enough that my yoga-pants-loving daughter will wear it without complaint. 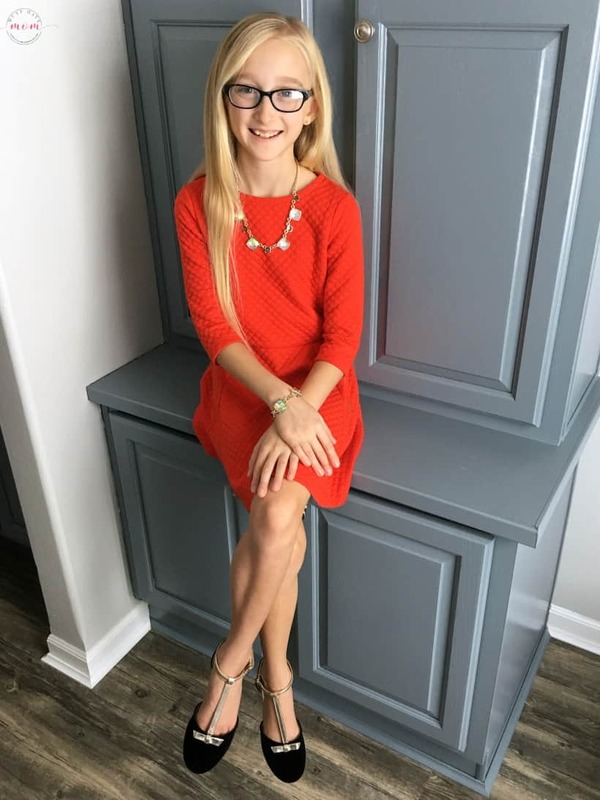 Want to let your kids shine in holiday outfits that are comfortable and cute?! 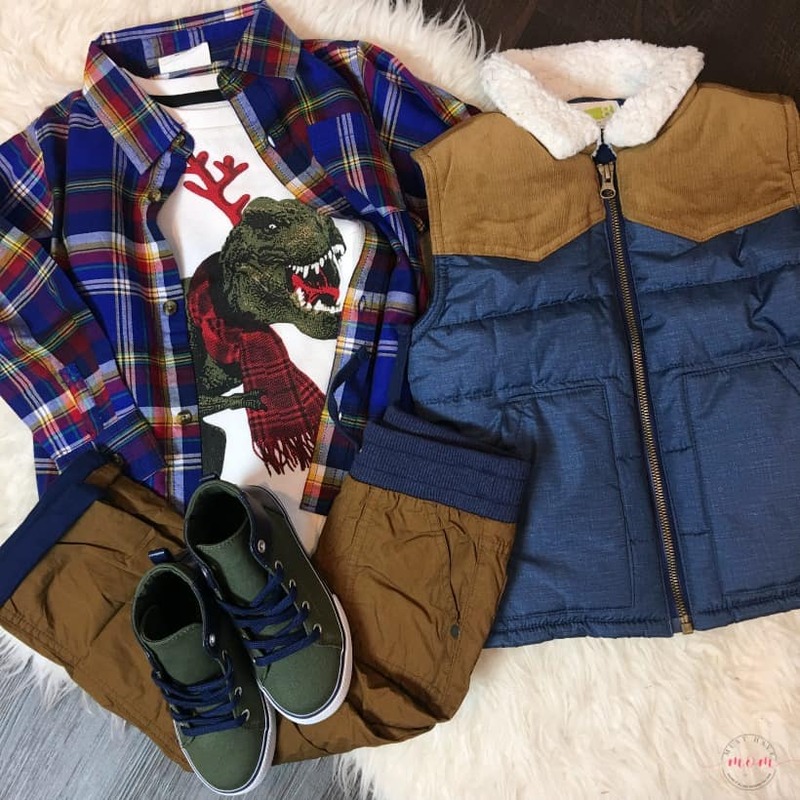 We got everything from head to toe at Crazy 8 so you can do some one-stop shopping and save yourself time and frustration running around town trying to find all the elements to the perfect Christmas outfits for kids! 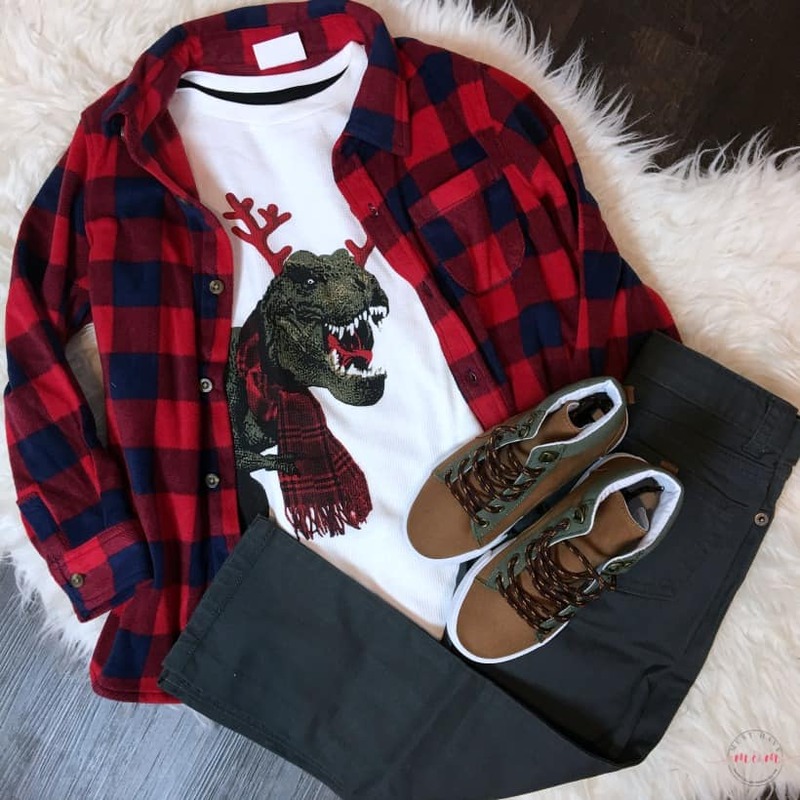 This toddler boy outfit stole my heart! It’s SO stinkin’ adorable!! This is so sophisticated while still being age appropriate! I love the look. Crazy 8 has all the best Christmas outfits for kids this year! Go check out the Crazy 8 website and let me know what your favorite is! 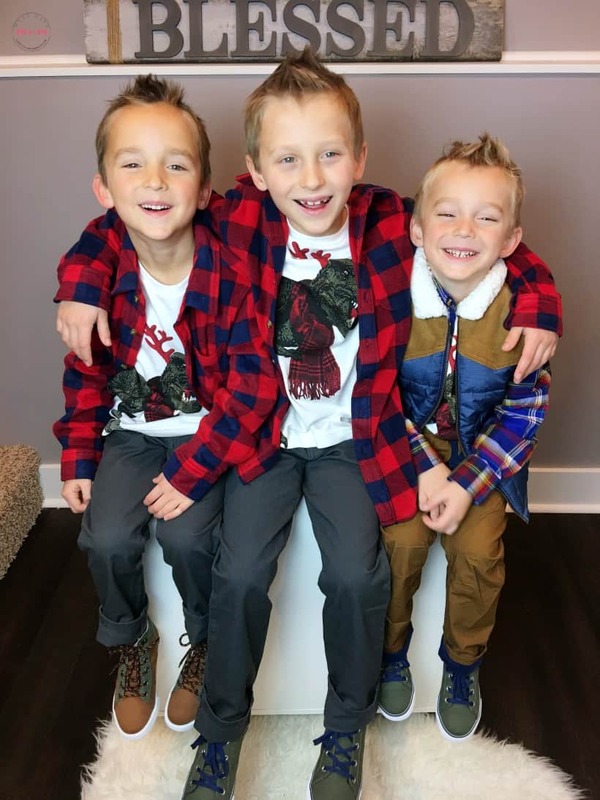 Be sure to hop on over to my Instagram feed and enter to win a $25 Crazy 8 gift card to buy your kiddo a Christmas outfit!! 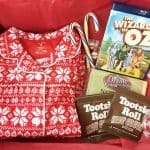 Follow @musthavemom & @Crazy8 for your chance to win! Good luck! 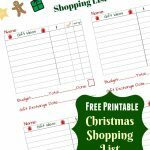 Free Christmas Shopping List Printable: Get Organized! « HOT Toy Alert: Hot Wheels Super Ultimate Parking Garage Holiday Gift Guide TOP Pick! The buffalo check microfleece is my favorite…..im such a sucker for anything plaid. I love the boys winter walk outfit!